It’s All About The Fun. 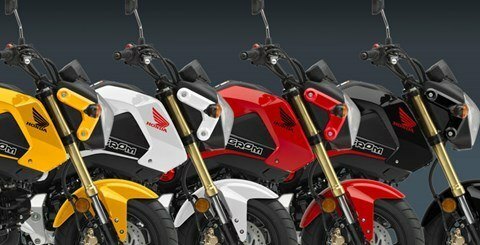 The Honda Grom has probably put smiles on more people’s faces than just about anything in the recent motorcycle world. And it’s easy to see why: This little pocket rocket may only displace 125 cc, but its fun factor is off the charts. It’s a blast to ride—you get all the excitement and freedom of a motorcycle, but because it’s so user friendly and approachable there’s just about zero intimidation. Best of all, some fresh new graphics and colors make the 2015 Grom even cooler. And the Grom makes ton of sense when it comes to dollars and cents too: You can run it on pocket change, and you can park it just about anywhere too. So what are you waiting for? Life on Planet Grom is a whole lot more fun than where you’re living now. And the best part is there’s a Grom with your name on it, waiting for you. Who says being practical can’t be fun? With its 1.45-gallon fuel tank you can venture far and economically too. 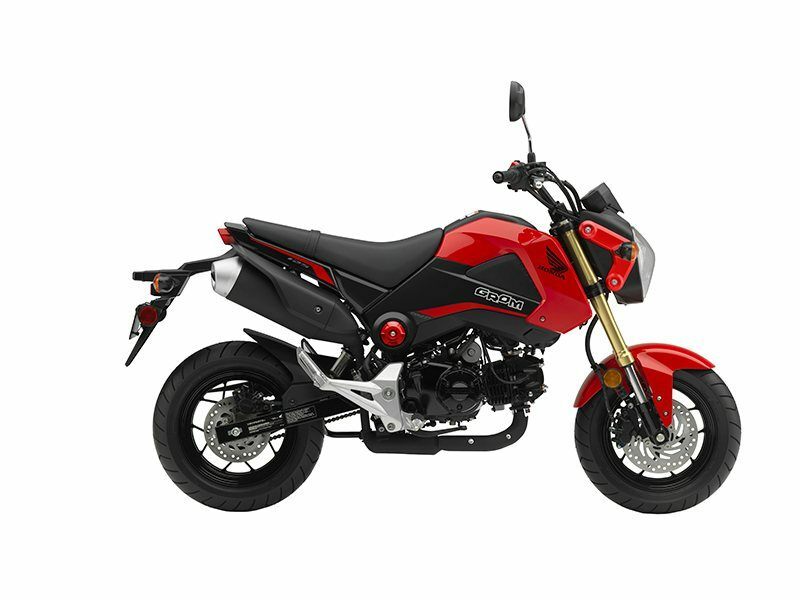 The Grom features excellent 220m front and 190m rear single disc brakes for stopping power. New pearl white and yellow have been added to the selection. And red and black are back for 2015 with a new scheme to give the Grom even more attitude. 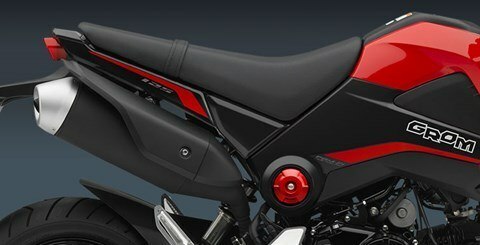 You get a plush ride, even over choppy pavement thanks to the Grom’s single hydraulic rear shock.